Bruce Goldstein has always cheered for the underdog - maybe it spawned from all of those Vikings Super Bowl appearances, back in the 1970's! That's why Bruce has derived so much satisfaction out of helping people. Bruce tried his first personal injury case to a jury in 1983 and has been helping victims ever since. Bruce's years of diverse experience and sense of compassion give him the ability to help those who cannot help themselves. Bruce has also enjoyed mentoring young lawyers in the office with a goal of building both compassion and empathy for clients who are in need of legal services. Bruce likes to describe himself as "a business lawyer who has been in business." He believes that his ownership and operation of several businesses, including a large steel distribution center, gives him an added perspective that many business lawyers don't have. He understands the perils and costs of litigation, because he has experienced it, both as counsel and as a party. Bruce knows the difficulty of dealing with creditors, banks and employees when times are tough, because he has worked these matters out both as a lawyer and as a business owner. In short, Bruce has both the legal experience and the business judgment to know how to make tough decisions and use the legal process for his clients' best advantage. 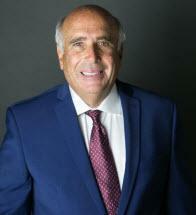 Bruce also understands real estate transactions, with experience as a broker, a developer, a financier and as counsel. This gives him insight that most lawyers do not have. This can be a valued perspective for his clients that are involved in real estate sales, acquisitions and developments. At Goldstein Law, PLLC, the client-based practice has grown to offer a diverse set of legal services to members of numerous immigrant communities. All of Bruce's grandparents immigrated to the United States to seek a better life in America. Bruce is proud to use his life-time experiences - as an entrepreneur, as a community leader and as an experienced lawyer - to counsel and advocate for the diverse legal services encountered by his clients. At Goldstein Law, PLLC, Bruce strives to make America a great country for his clients, one day and one client at a time. Together, Goldstein Law, PLLC, makes this world a better place.